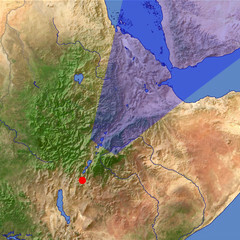 At the north end on its African continental section the Great Rift Valley forms a triangular depression called the Afar Triangle. In the foreground the rift separates the Ethiopian Highlands (left) from the Harar hills (right). 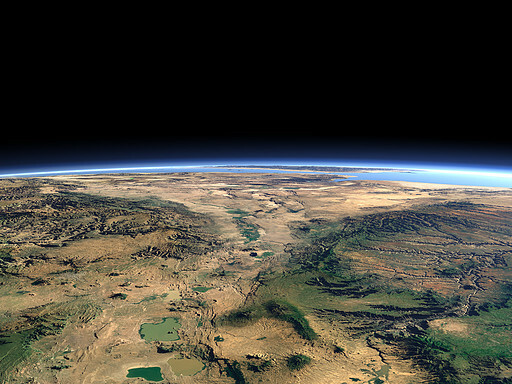 In the background the Bab-el-Mandeb and behind the Arabian Peninsula can be seen.